If you’re suffering through the embarrassment of a turkey neck or a double chin, you may be wondering about the best ways to treat it. 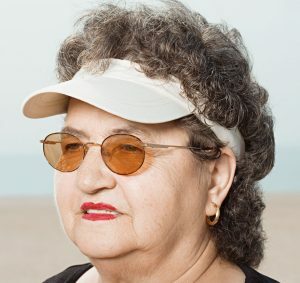 According to CBS Los Angeles, researchers named Inland Empire, California, where I practice, as “America’s Most Wrinkle Prone Area.” We’re just north of Los Angeles, home to many plastic surgeons. We know that people looking to treat a double chin or turkey neck have a lot of options. 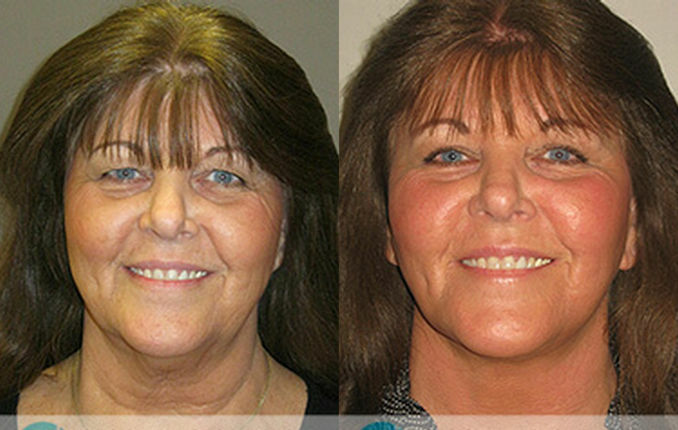 I believe we offer some of the best facial rejuvenation results in the nation. 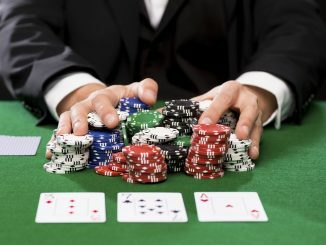 With all this competition, we have to be at the top of our game. So, I thought that if you’re suffering with loose neck skin or excessive neck fat, you’d probably want to know how we treat it here. 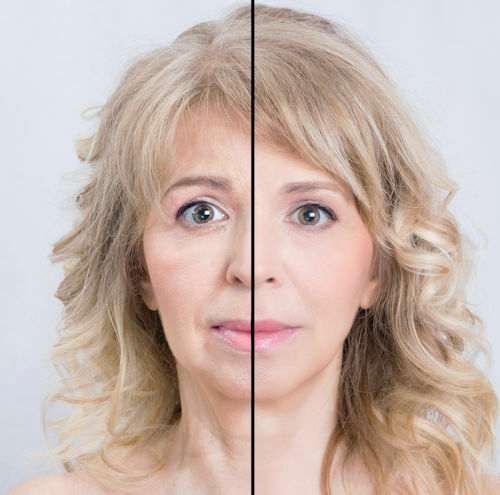 These are what experience shows me to be your best options to get rid of a turkey neck or double chin without surgery, with a minimally invasive procedure or with the “gold standard,” a surgical procedure. 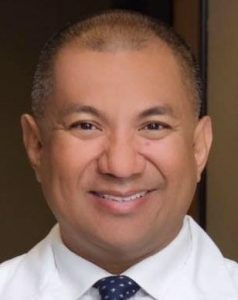 Editor’s Note: Dr. Brian Machida is a highly experienced, double board-certified facial plastic surgeon in Ontario, CA, part of California’s Inland Empire. 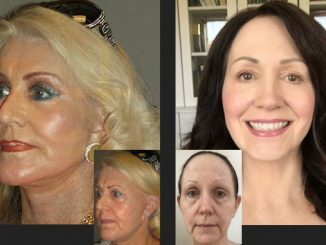 He has performed thousands of facial rejuvenation procedures. 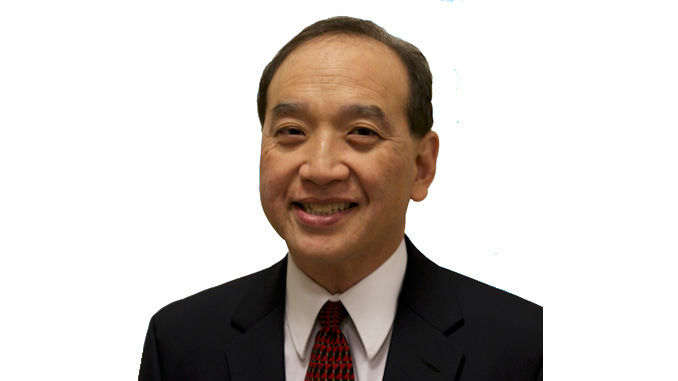 Dr. Machida taught facial plastic surgery for years at the University of Southern California’s Keck School of Medicine. He serves as Medical Director at STC Plastic Surgery. Neck banding that forms a V with no double chin or extra neck fat can often be treated effectively with Botox. In this case the platysma muscle bands are prominent. 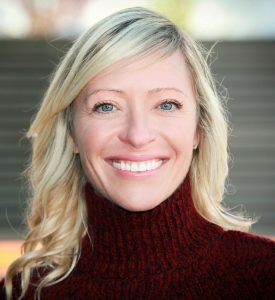 Botox blocks some of the nerve signals to those muscles so that they are much less visible under the skin. This can do a good job in improving your neck appearance if your skin still has good elasticity and prominent muscle bands are the main problem. You’ll need Botox injections every 3-4 months to maintain the effect. However, if you have a noticeable amount of wrinkles, loose skin or neck fat, you’ll need a different treatment to get the results you want. This non-invasive radio frequency treatment can actually break down a small amount of fat, which your body will absorb. In addition, the heat generated by precisely tuned radio waves can tighten your skin. This is a great alternative if you have a small amount of extra neck fat and need only modest skin tightening. A qualified, experienced plastic or facial plastic surgeon can tell you if this noninvasive method will work well for you. At one time, Kybella was widely advertised as a non-invasive way to get rid of a double chin. I believe there now are better ways to achieve this goal. Kybella injections work by dissolving fat, which the body will absorb. It also causes inflammation at the injection sites. This inflammation causes nodules of scar tissue to form, which pulls the neck skin tighter. 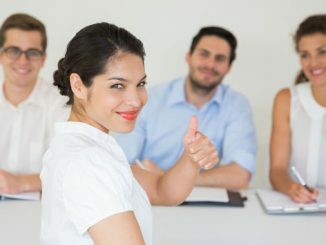 In many offices, nurses provide Kybella injections. It’s much better, though, to have a highly skilled doctor do it. If not done properly, scar tissue nodules can become large and noticeable. Often, 3 sessions of Kybella injections are needed. Each session causes redness and inflammation in your neck. So, while Kybella costs less per treatment, multiple treatments means that costs can add up. Kybella doesn’t help loose muscles, which is often the cause of a turkey neck. For these reasons, at STC Plastic Surgery in Inland Empire, California, we don’t offer Kybella. The non-invasive methods I’ve outlined above can work well for some people, but many others need more. Their turkey neck or double chin is more pronounced. The best methods for treating more noticeable but moderate neck issues include J-Plasma thermal tightening and, if needed, neck liposuction. This method directly removes fat using neck liposuction. After making a small incision under your chin and behind the ears, I’ll remove fat cells if needed. Then I’ll insert the J-Plasma wand under your chin. This will heat the dermis layer and cause your neck skin to contract. This method works better than any other for tightening loose skin. 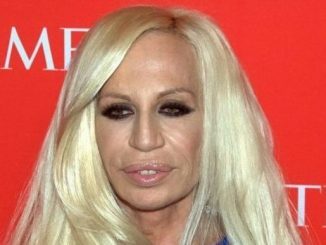 It’s important to use a physician who is well-versed in the J-Plasma face and neck rejuvenation techniques. A skilled doctor will be certain to remove any of the helium gas the J-Plasma device uses. This can avoid unnecessary complications. The J-Plasma device can tighten skin lower on the neck as well as under the chin. This makes it an excellent choice. Downtime is only about 7 days. If your physician determines that your turkey neck or double chin is larger than can be successfully treated with non-invasive or minimally invasive methods, he or she may recommend a surgical neck lift. While it requires about 10 days of downtime, a neck lift is still the gold standard for rejuvenating an aging neck. I typically begin with neck liposuction to remove any excess fat. Then, using minimal incisions in front of the ears and under your chin, I will tighten the platysma muscle on the sides and in the middle of your neck. This will smooth its contours. Then I’ll pull your skin back to tighten it and remove any excess. 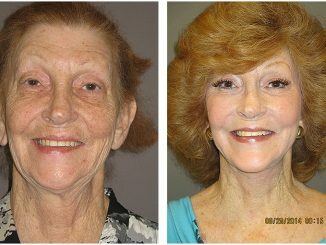 Many patients benefit from having a lower facelift at the same time as their surgical neck lift. 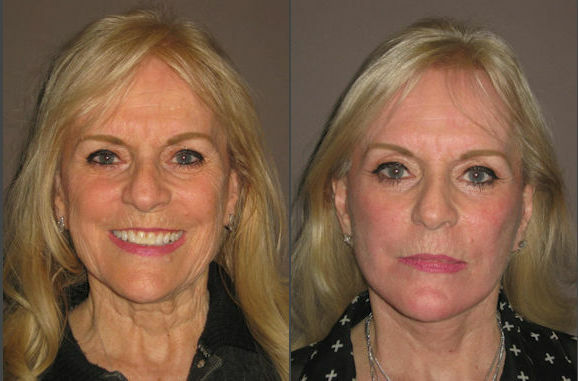 We utilize the same incisions and can tighten up your jawline and get rid of any jowls. At the same time, I’ll eliminate marionette lines that run from your mouth to either side of your chin. 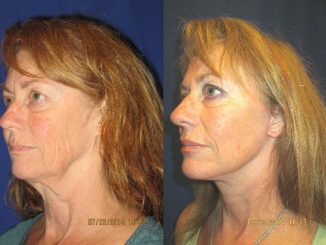 The combination of a lower facelift with a surgical neck lift will give you excellent results that will last for years. If you’ve felt embarrassed because of a double chin or turkey neck, it’s good to know that there are effective nonsurgical and surgical methods to treat them. 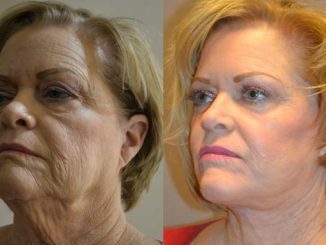 Thanks to advances in technology and techniques, you can successfully improve a double chin or turkey neck without surgery. If your neck requires more improvement than these methods can provide, a neck lift is the gold standard for neck rejuvenation. 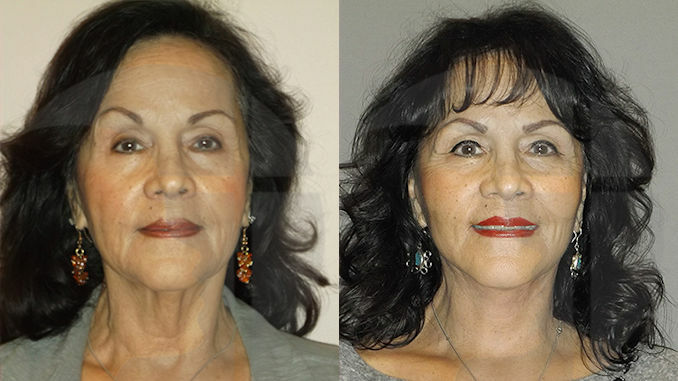 Combining a surgical neck lift with a lower face lift will give you the best results available. The methods outlined here have served people in wrinkle-prone Inland Empire, California very well. 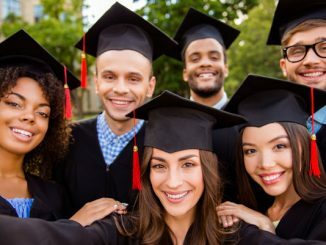 An experienced plastic or facial plastic surgeon in your area is in the best position to determine which of these will work best for you. A better-looking neck is certainly within your reach. Why not consult with an expert now to learn your best options?